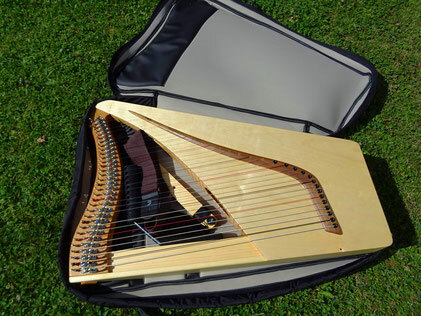 We also offer a well padded harp carry case for easy and well protected transport. 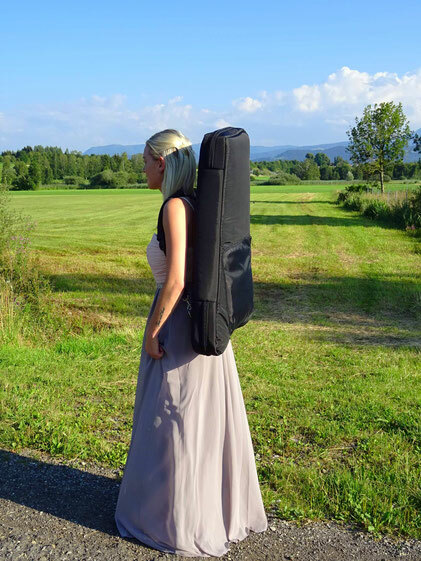 Fitted with a handle, backpack straps and a pocket for music sheets. 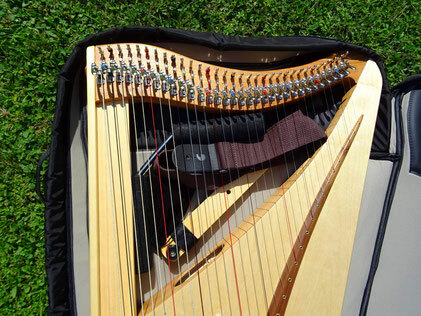 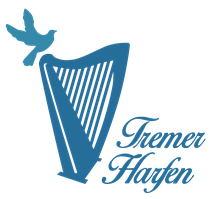 With this harp bag the travel harp can be transported very easy.